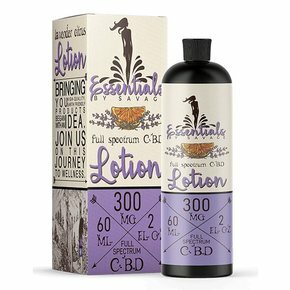 Savage CBD Essentials presents our premiere lotion. This lotion is one of the smoothest and most moisturizing CBD lotions on the market today. Our lotion has beautiful soft notes of lavender with undertones of citrus for a nice calming effect. The lotion can be used for dry skin, aches, and pains.